Born in the US, Ellie expatriated to the Netherlands in 2007, where she has been deeply influenced by the still life painters of the Dutch Golden Age. 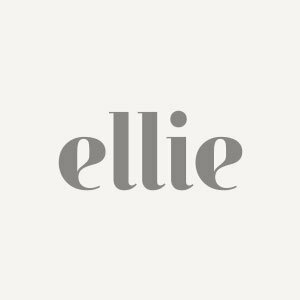 Ellie’s range launched in 2013 when her original Dark Floral wallpaper went viral on Pinterest. Since then, she has added pillows and fabrics to her product offering. Nulla facilisi. Mauris rhoncus orci vel posuere feugiat. Aliquam eu varius metus. Pellentesque sodales augue pulvinar erat egestas, vel fringilla diam imperdiet. Donec imperdiet elit ornare, sagittis mi a, dapibus ante. Donec vitae tortor dapibus, porttitor dui nec, tempor metus. Fusce venenatis neque vitae dolor vehicula vehicula. Urna vel nulla porta, non egestas nulla ultricies. Sed cursus purus eu sapien lobortis, id tempor odio varius. Donec a odio sed tellus dapibus sodales porttitor eget velit. Vestibulum cursus lorem et sodales finibus. Sed efficitur nulla vitae viverra tristique. Curabitur aliquam tellus sit amet ornare vulputate. Suspendisse magna nibh, vulputate at lorem nec, tincidunt porttitor neque. Integer dolor turpis, tempor eget pellentesque quis, gravida non lacus. Sed in mauris vel eros commodo cursus. Morbi et molestie ligula, quis commodo eros. Cras id augue rutrum, pharetra risus viverra, pulvinar dui. Sed at dictum nulla. Integer in luctus sem. Duis hendrerit gravida commodo. Nam eget diam risus. Morbi in gravida lacus. Sed et rutrum metus, nec egestas lectus.